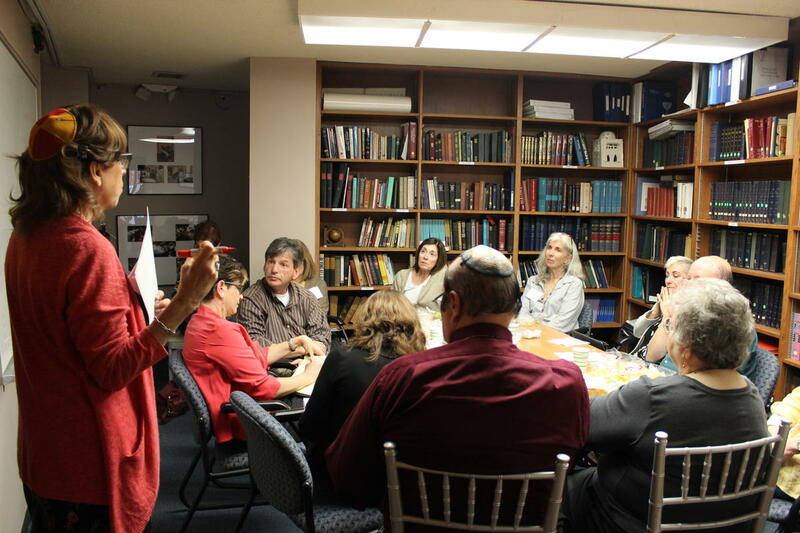 Rabbi Laura Geller addresses a room of participants at Temple Emanuel's conference, "The Next Stage: Looking Backwards and Ahead," on November 9, 2014. Confronting sickness and death is part of a faith leader's job description. Members of the clergy sit with congregants during chemotherapy treatments and pray with them in the midst of pain. Pastors prepare for this work at seminary, spending a semester working as a hospital chaplain or volunteering at a nursing home. However, some still enter professional ministry unprepared to sit at someone's bedside and offer advice, according to recent research on religion and end-of-life care. Seven in 10 clergy members say it is "somewhat" or "quite a bit" important for them to encourage ongoing treatment for a cancer patient, even when a doctor says there is no hope for a cure, notes a new study in the Journal of Pain and Symptom Management. "Poor knowledge of end-of-life care may lead clergy to passively enable congregants with serious illness to pursue … treatments that are associated with increased suffering," wrote researchers in the Journal of Palliative Medicine. The National Clergy Project is part of Harvard University's Initiative on Health, Religion and Spirituality. Program leaders are working on a free end-of-life care curriculum to empower faith leaders, highlighting the important role religion often plays at the end of people's lives. "What clergy say — and what they do not say — can make a major difference in whether believers experience a 'good death,'" the Association of Religion Data Archives reported in its overview of recent research. Accepting that a cure isn't possible "may be perceived as a decision that undermines one's faith in a God who may intervene with a miracle through medical treatment," wrote researchers in the Journal of Pain and Symptom Management. 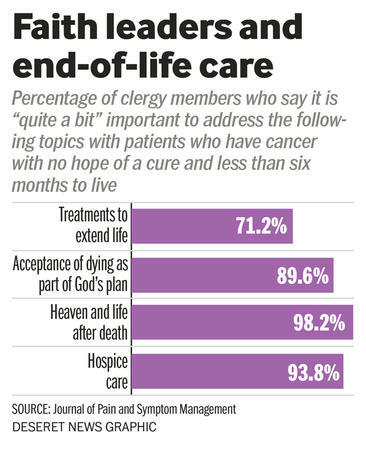 These researchers and other experts at The National Clergy Project on End-of-Life Care don't want to undermine religious beliefs. But they do want to ensure that faith leaders are informed about medical options before they influence a patient's decisions. "Our goal is for patients and families facing difficult medical decisions to receive better spiritual and medical care," the project website notes. "The conversations were so rich and powerful that nobody wanted them to end," she told the Deseret News last year. "How do you make meaning in the face of the fact that you're going to die? That's what faith communities are supposed to be teaching people," she said.